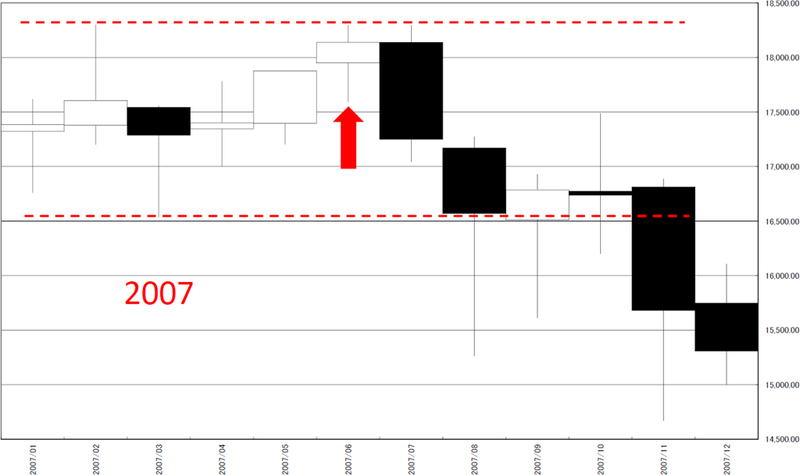 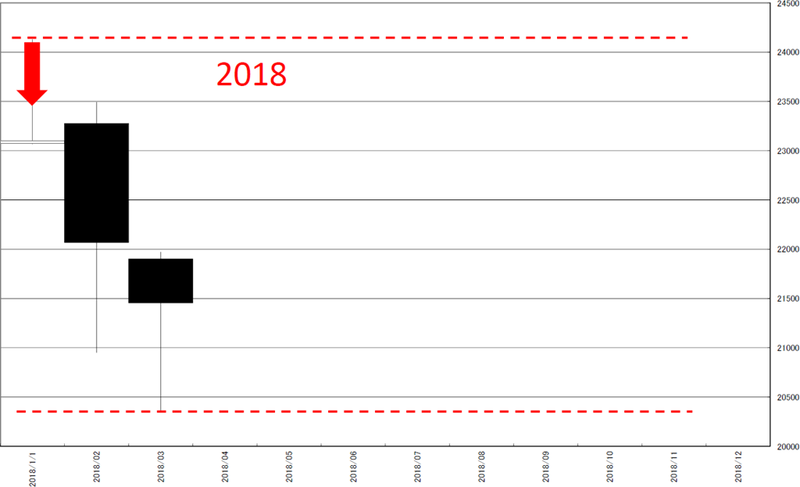 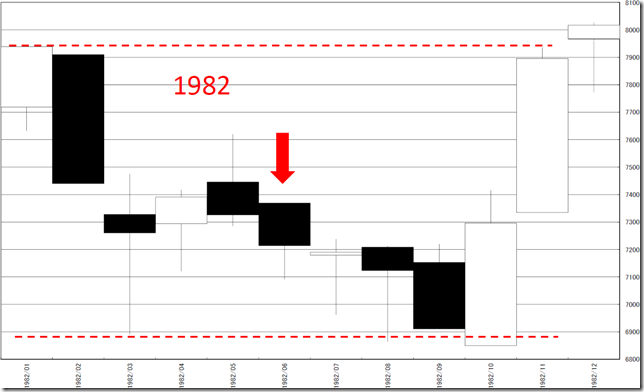 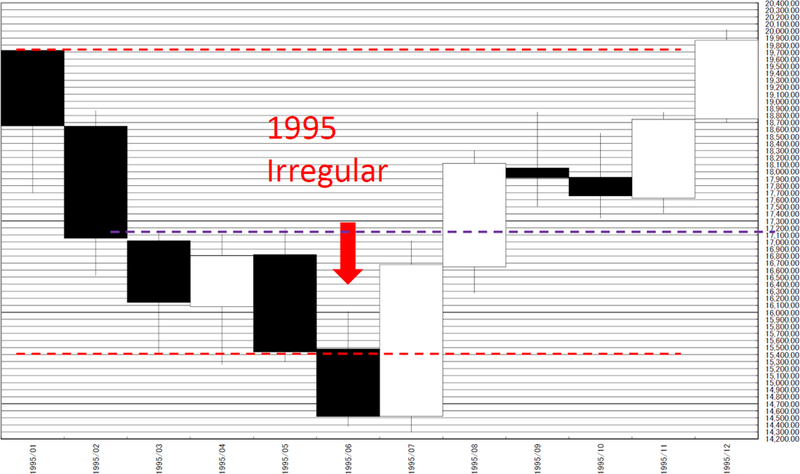 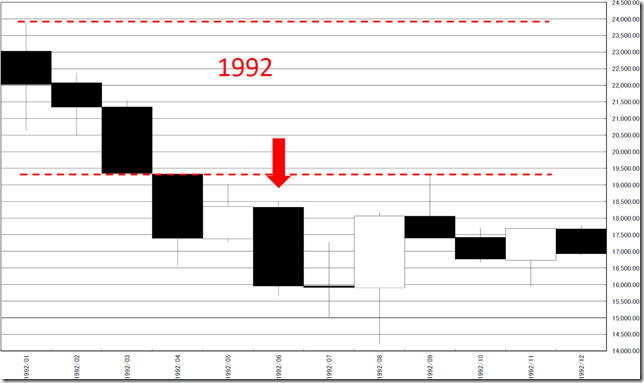 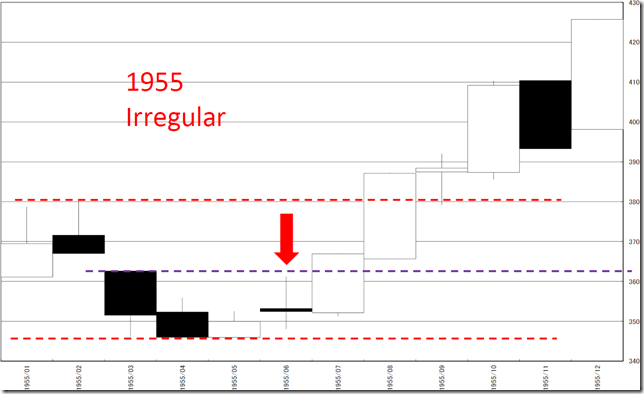 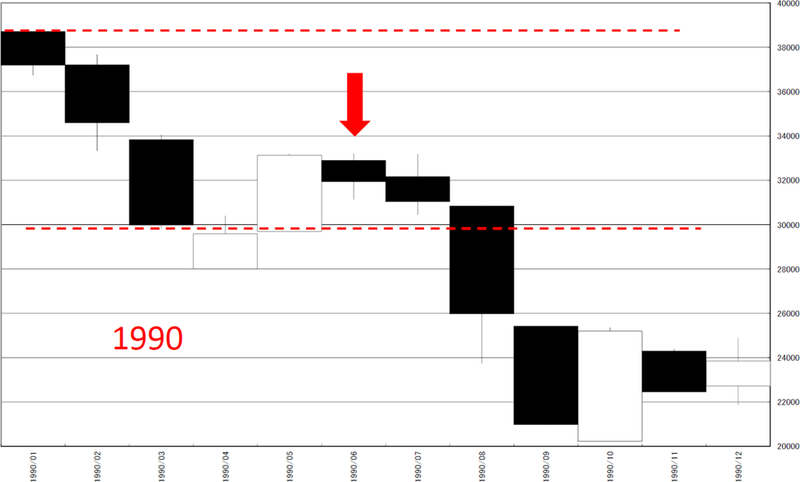 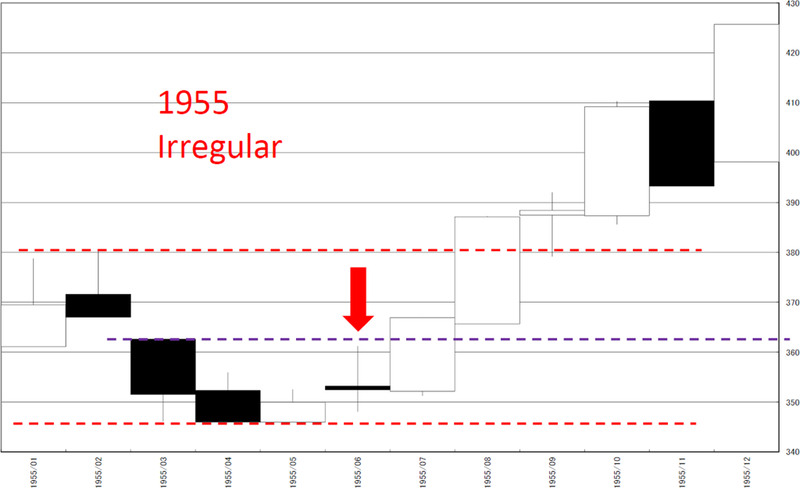 NIKKEI 225 annual No.8; After 1950; if the close price will not take new high before June, performance of the latter half of the year was worse; Now is similar to 2007? 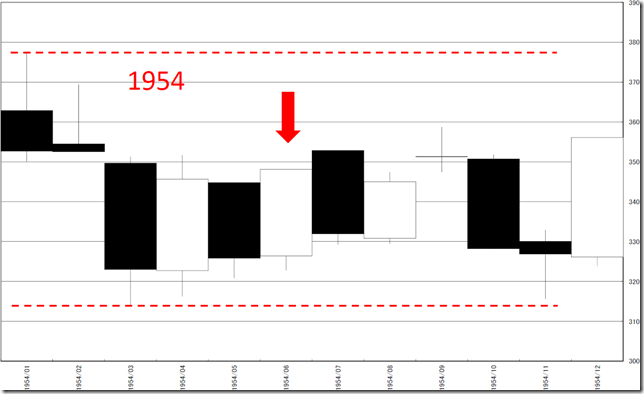 Our conclusion is after 1950, when year low was taken in March and not taking year high before June, performance of the latter half of the year was worse. In other word, if new high will not take before June, our main scenario is February high make year high or rally at end of the year will be year high. 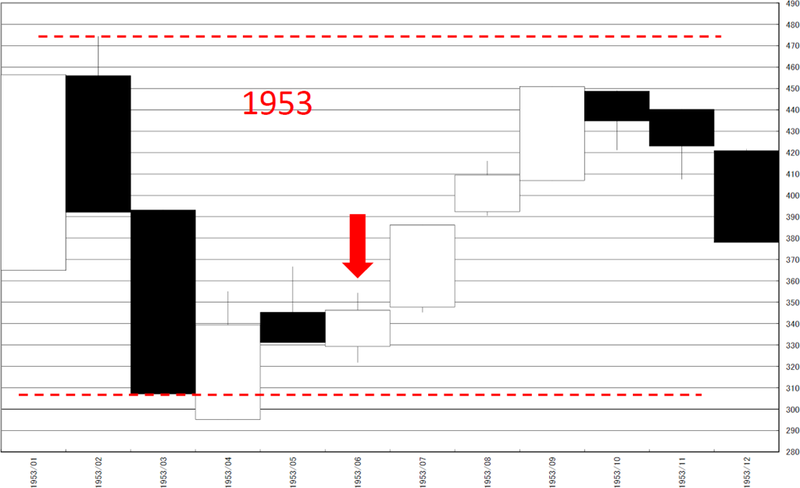 After 1950, there were 18 patterns taking year low in March. 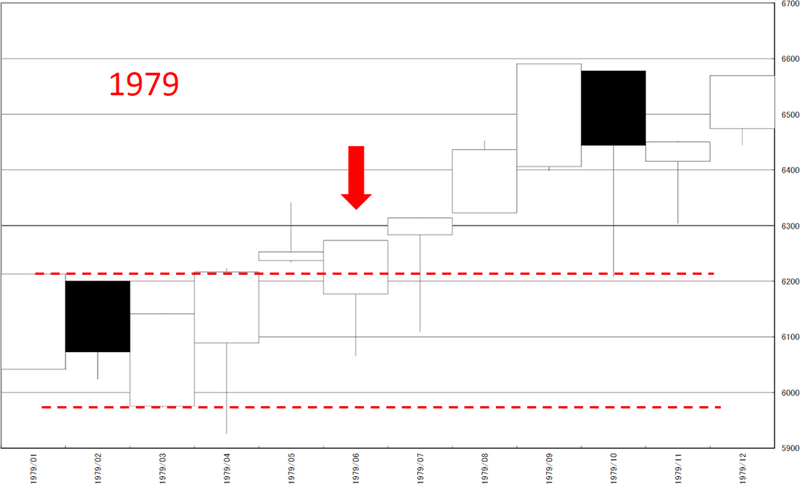 And exception patterns are 4 cases. 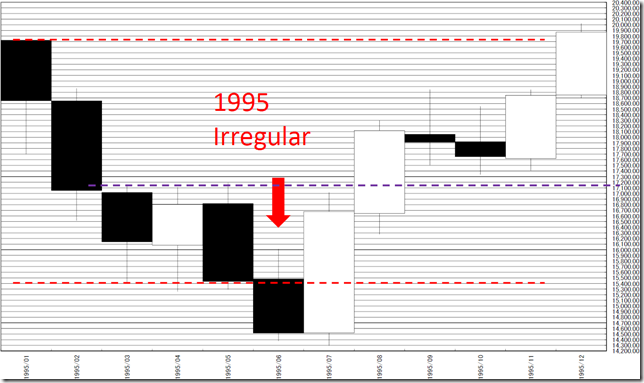 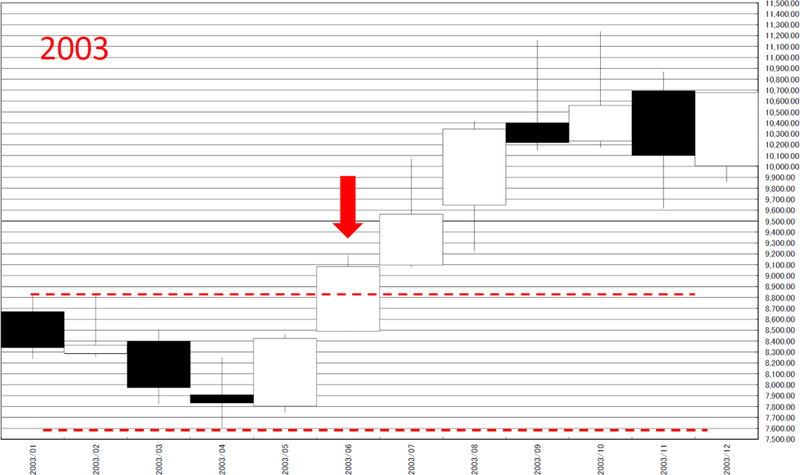 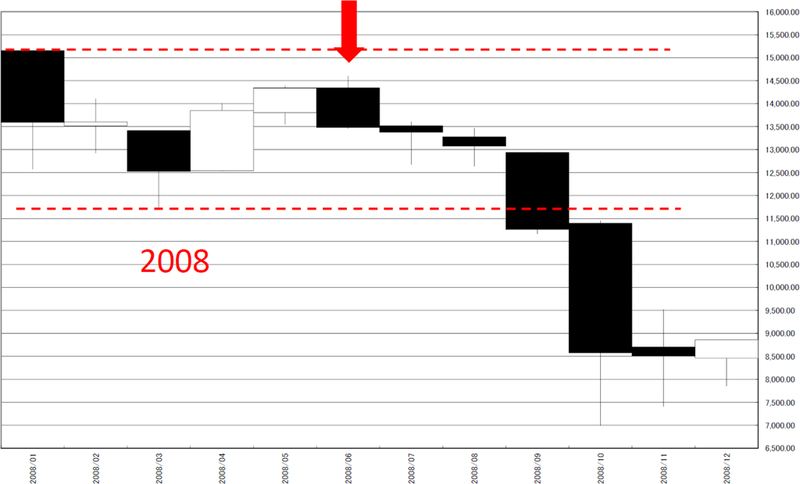 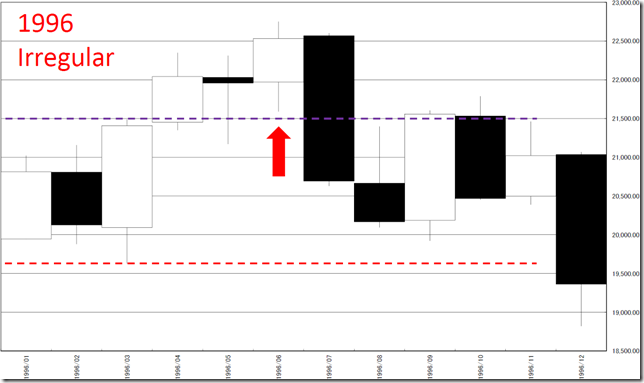 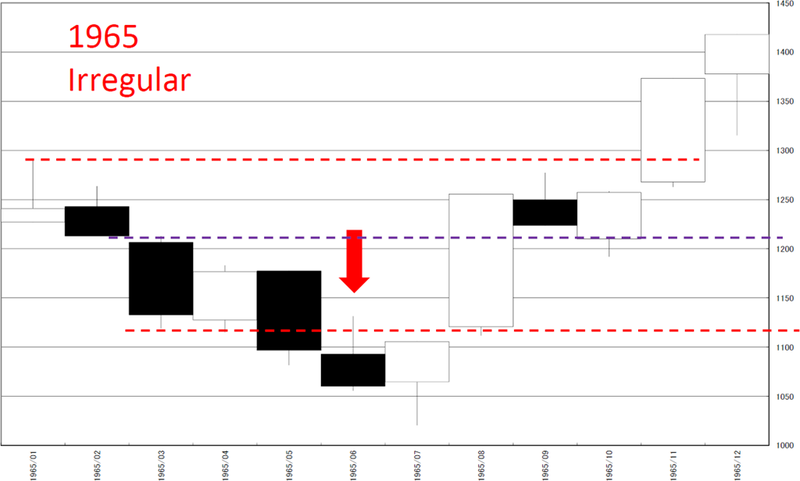 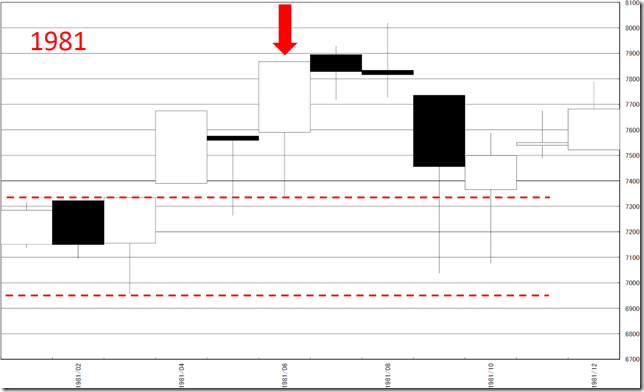 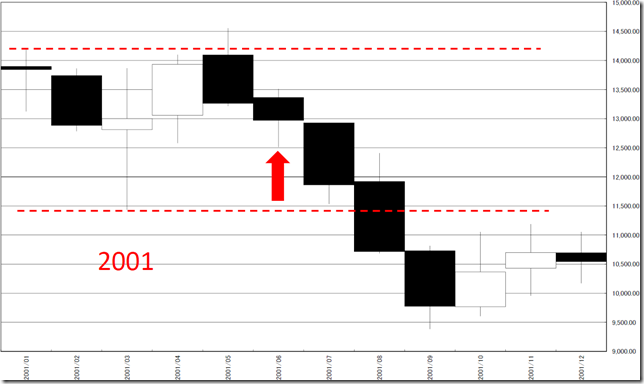 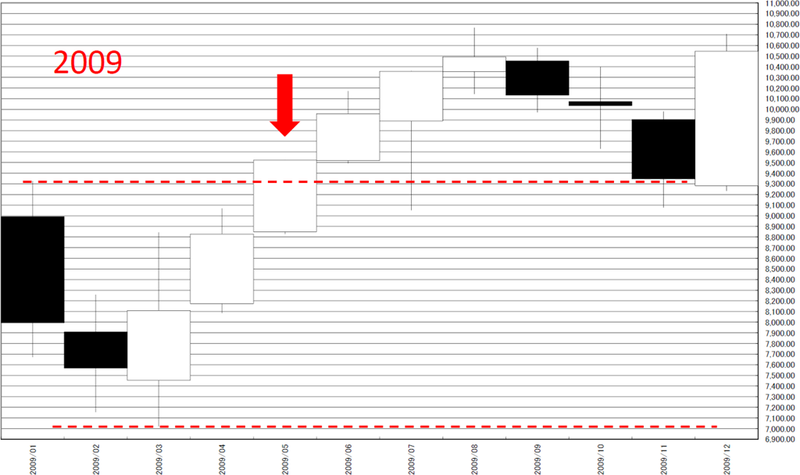 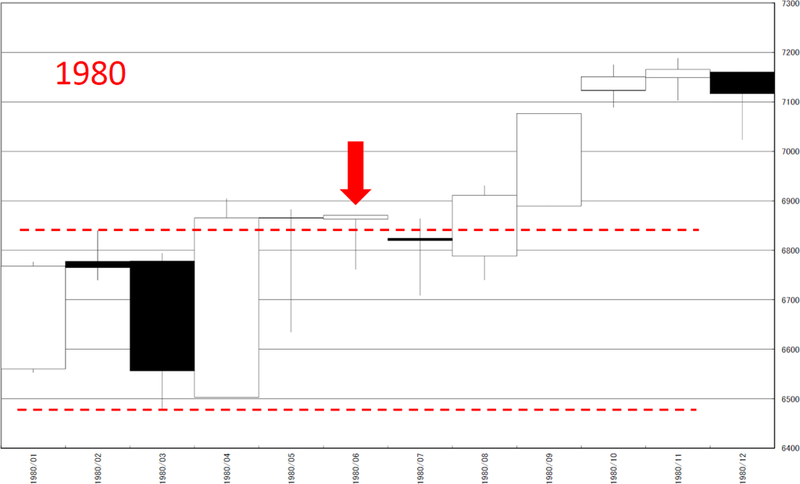 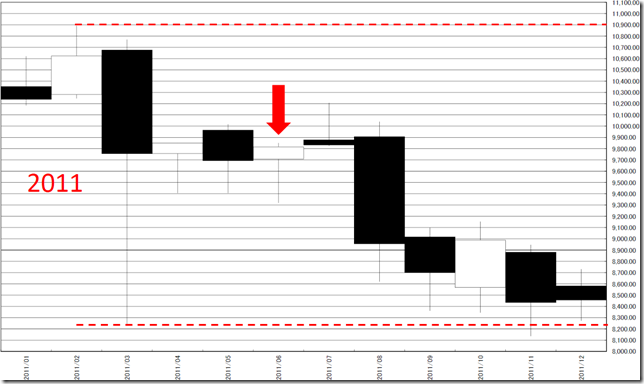 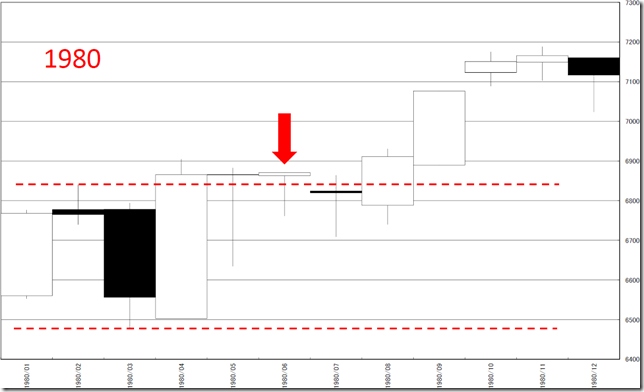 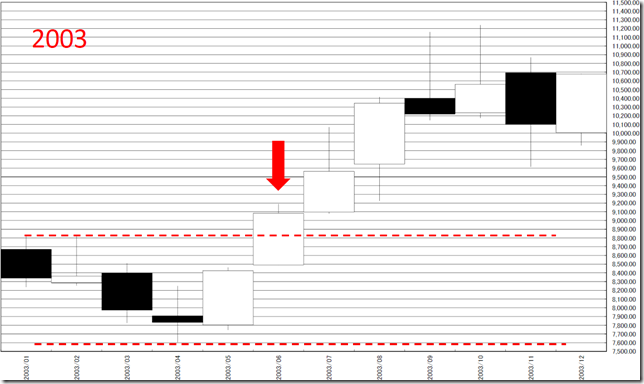 In such cases, we can capture the condition changing phase on the chart; see cutting March high or low. We can remind 2007 case. 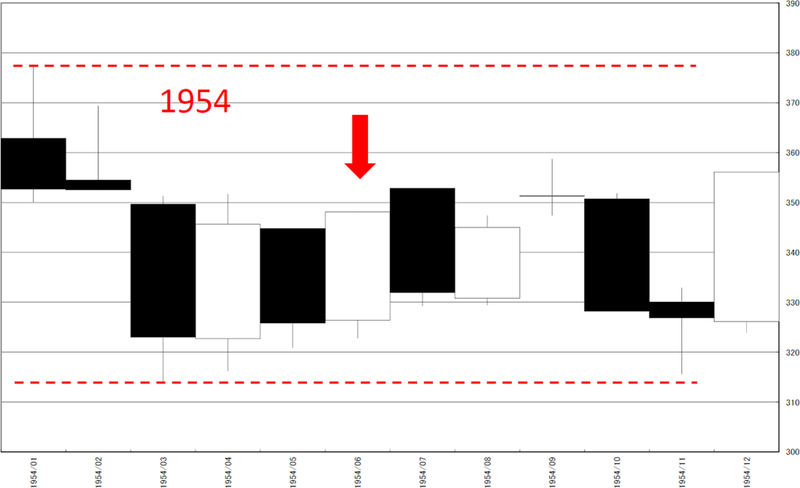 At that time, the year high was taken in February and year low was taken in March. And the price could not take new high in June and July.